There are three phases to every DUI, or Driving Under the Influence charge. These include the Stop, the Search, and the Trial. Based on the actions of the police officer, and the driver, a person charged with a DUI may have a charge dismissed. It’s important to understand each of these phases, and I will explain them each in this blog. While a criminal charge can begin under all sorts of factual circumstances, mo st DUI charges starts with a traffic stop by police officers. Police may stop the driver of a motor vehicle when the officer has reasonable suspicion that a crime is occurring. While reasonable suspicion can sometimes be an ambiguous or vague idea, the most common circumstances include any of the following: improper equipment, erratic driving, speeding, unregistered or improper inspections, or an accident. If any of these circumstances occur a police officer may stop the driver of a vehicle. When further evidence arises, you may be subsequently investigated for DUI. The second phase of a DUI involves the Search. The Search phase requires an investigation by police as to whether there is probable cause to believe the driver has been driving under the influence. If based upon the Search, a Police Officer believes there is sufficient probable cause, then they will proceed with an arrest. In order to determine whether probable cause exists, the police officers will put the driver through a series of physical tests commonly referred to as field sobriety tests. It’s important to understand that these tests do not begin when a driver exits the vehicle. 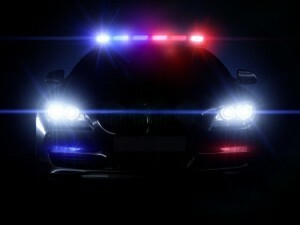 Whenever a police officer approaches a vehicle they have already begun their search. Once out of the vehicle, field sobriety tests might include: the Horizontal Gaze Nystagmus Test, The Walk-and-Turn, The One-Leg Stand, and a Field Breathe Test or Preliminary Breath Tests (PBT). If based on any of the above, an officer has probable cause to believe the driver is intoxicated, or under the influence, they can arrest the driver for DUI. The third phase of a DUI is the Trial. This phase occurs in the court room and encompasses a full examination of the previous two phases. It is important to understand that in order to be convicted at trial, a driver must be found guilty beyond a reasonable doubt. A defense attorney can overcome a possible conviction by arguing that the police officer did not have reasonable suspicion in the Stop phase, or probable cause during the Search phase. Also notable, if an objection is raised to the Stop, or the Search phases, the burden of this proof is not on the person charged with DUI, but on the prosecutor. The prosecutor must then demonstrate that there was both reasonable suspicion for a stop, and the investigation of the driver generated sufficient probable cause for an arrest. Finally, to sustain a conviction, the prosecutor must show the driver is guilty beyond a reasonable doubt of driving under the influence, or DUI. To demonstrate guilt beyond a reasonable doubt, the prosecutor must prove each and every element of the alleged crime. Without this proof a judge, or jury, cannot convict a driver of DUI. In conclusion, there are three phases to a DUI charge- the Stop, the Search and Arrest, and the Trial. A competent defense lawyer has opportunities to attack each phase of the DUI. If you need an lawyer who handles Driving Under the Influence, or DUI charges, contact Brandon C. Waltrip, Esq. Expongements. How do they work?